Want it by Thursday 25th April? Order within 20 hours, 17 minutes and choose Royal Mail Tracked 24 Hour at checkout. The Robell slim fit Bella Jeans have been cleverly designed in Germany for ladies looking for trousers that fit perfectly. Crafted from a stretch material and styled with a comfy pull on design they feature a neat false zip front flap, concealed flat waistband and a double stitched seam on the back of the leg all help to create the perfect shape. They are then finished with two false front pockets and two patch pockets to the back. They promise the wearer a comfortable, feminine and flattering fit. 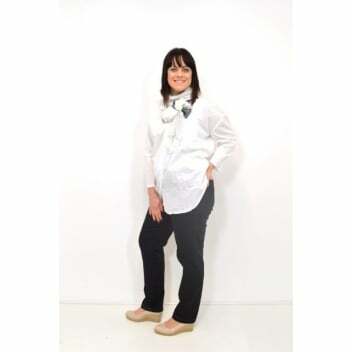 It is said that once you have tried a pair of Robell trousers you won't want to buy any other!